3 Beds 2 Baths 1,295 Sq. ft.
Fisherman & boaters take notice! This property is nestled in this truly unique river front community with river front clubhouse & pool, a private association boat ramp & rv/boat storage! Fish from the community ramp/dock! Enjoy manatee, dolphins & all types of fish relaxing at the gazebo by the pool! TRULY A MOVE IN READY HOME! Since purchased; New 50 year shingle roof 2017! Interior & exterior painted! New & widened paver stone driveway 2017! All new kitchen cabinets with pull out shelves! New counters! New sink & faucet! New top of the line flex/dual slide-in range! Brand new 10x14 sun room & 10x14 paver patio! New vinyl plank flooring! New slider from master to Florida room! All new interior doors! All this plus what the previous owner did: Thermopane windows 2015! A/C updated 6/2014! Hotwater heater replaced 2013! Fridge 1/2014! Slider from living room to Florida room replaced 2015! 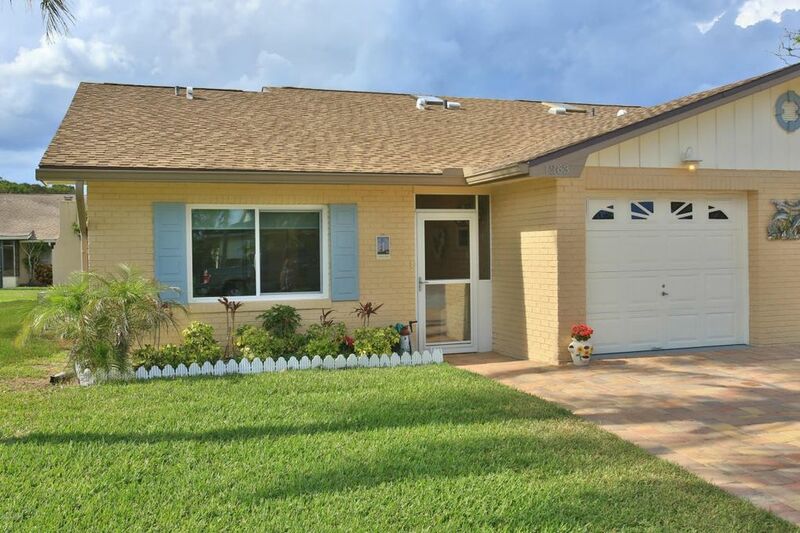 Other great features include eyecatching fireplace and air conditioning in your Florida room (not included in living space) This is the house that is truly ready for you to call home and to enjoy the lifestyle Harbour Point has to offer! Your monthly association fee includes your cable tv! Also lawn is cut, watered, fertilized and treated for pests!